TP52 fleet racing in the Mediterranean. Image copyright 52 Super Series. With one week until the first races for the new BARCLAYS 52 SUPER SERIES season, the sense of anticipation and excitement among the constituent race teams rises with each new day, knowing that the first regatta of this year’s four – Rolex Capri Sailing Week – heralds a number of firsts for the world’s leading monohull circuit. In Capri the 52 fleet will not only be at its strongest in Europe for some years with nine boats set to compete but it will see the BARCLAYS 52 SUPER SERIES debut of the Brazilian owned, recently launched Phoenix, the first of the latest generation of TP52s to be built to the 2015 rule. It will be the first time ever that the TP52s race as a fleet in the stunning surroundings of the island of Capri, competing at the same time as the 12 strong maxi fleet although following a different schedule, and it will be the first time that 52s have raced in their new configuration. As such the 52s will be faster and more challenging than ever. As of this season they sail with longer bowsprits (9m STL) with kites which are now 10 sq metres bigger (now 270 sq m). The roach on the headsails has increased and the boats are a little more frenetic to sail as the crew weight limit (usually 1130kgs) now means most will sail with one less crew member than last year. And after the winter and spring refits which include a new rig for the Turkish boat Provezza which reverts to tiller steering for double Olympic silver medal winning helm Nick Rogers, and the French flagged Paprec has optimised their older boat by moving their winch pedestal, class manager Rob Weiland says the fleet will be looking at their best. Ran. Image copyright 52 Super Series. Crew line up changes will also be evident, some enforced but others made to strengthen speed or tactical skills. Australia’s Olympic gold medallist and America’s Cup winner Tom Slingsby will race his first ever Barclays 52 SUPER SERIES regattas as he joins Tony Langley’s Gladiator as tactician. Italian hopes of overall victory may be boosted as Azzurra confirm they have recruited New Zealand’s Grant Loretz as a trimmer. Loretz, an America’s Cup winner, won the MedCup with Quantum Racing and twice with Emirates Team New Zealand in 2009 and 2010. The defending 2013 52 SUPER SERIES champions Quantum Racing start the season missing long time bowman Greg Gendell who was injured two weeks ago when a large block hit him in the face. 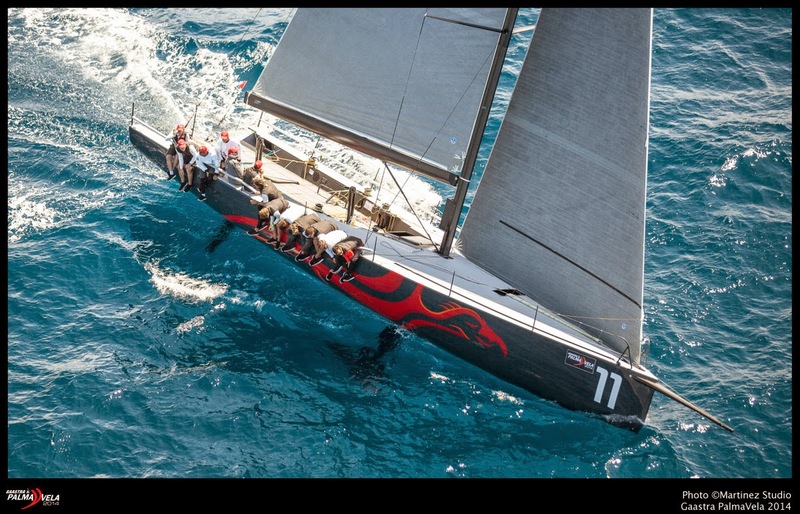 Gendell has been battling back to fitness but will be replaced in Capri by Matt Cassidy, the world match racing championship winning bowman who usually sails in the midbow position on Quantum Racing. As Cassidy moves forwards in the boat to the sharp end, Phil ‘Blood’ Jameson returns to the crew in a role he previously sailed in for one year. A nine boat fleet is as strong a 52 class as the grand prix sailing world has seen in Europe since the days of the MedCup. As well as Phoenix debut, Jim Swartz’s highly regarded Vesper is set to sail her first European regatta after showing well in Miami at the US 52 SUPER SERIES. 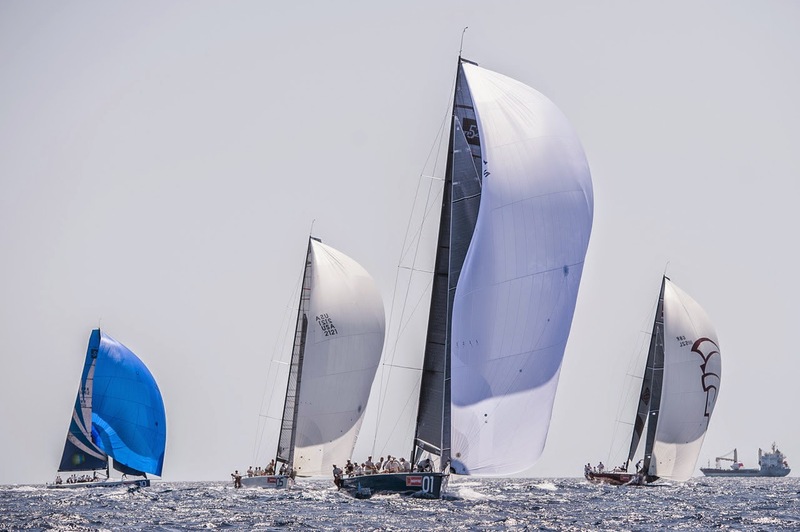 There is no change to the rigid philosophy of the BARCLAYS 52 SUPER SERIES that every race over the four regattas, Capri, Sardinia, Palma and Ibiza counts equally. There are no discards and so the pressure is constant from Day 1 Race 1 until the very last day of the season. Ultimately it is a high level of consistency which is rewarded. Last year it was Quantum Racing, skippered by America’s Cup winner Ed Baird with Terry Hutchinson as tactician, which prevailed. 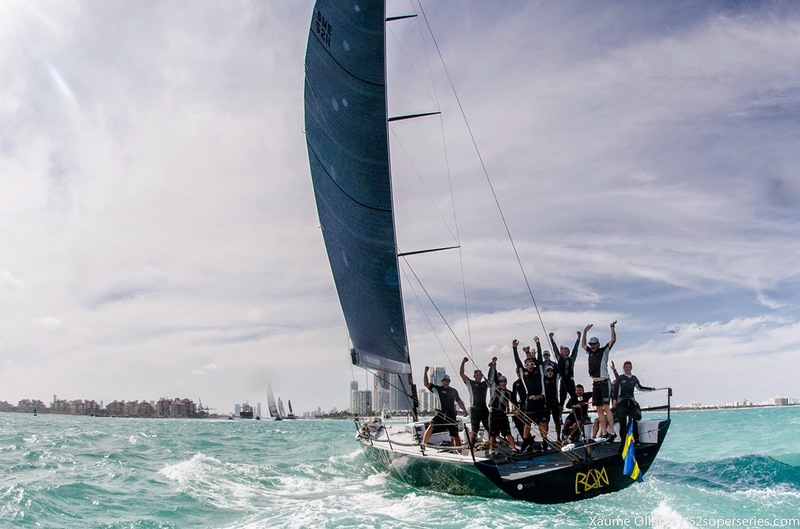 They won the US 52 SUPER SERIES and the obvious question is whether any team can overhaul the highly polished, vastly experienced Quantum Racing crew this season. Zennström’s crew won the world championship title last season and arrive in Capri fresh from winning in Palma Mallorca with their new MiniMaxi at its maiden regatta. Powell believes running the MiniMaxi and the TP 52 in tandem can only be an asset to their BARCLAYS 52 SUPER SERIES campaign. Quantum Racing will, however, have Spain’s past Olympic champion Jordi Calafat back on the boat when they are training prior to Tuesday’s first races – deputising for mainsail trimmer Warwick Fleury on pre regatta training days. Calafat will play a supporting role from the chase boat during the first few races. Racing starts for the BARCLAYS 52 SUPER SERIES Tuesday and runs through to Saturday.